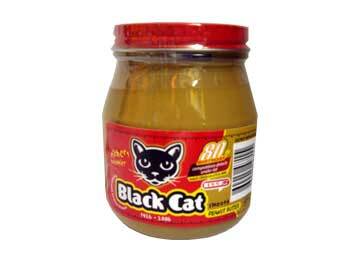 Ever since 1926 only the finest quality peanuts have been used to make Black Cat peanut butter. This healthy and nutritious spread has a great taste, beautifully smooth texture and is packed full of peanut power. Peanuts (Minimum 91%), Sugar, Stabiliser, Salt. There is not another peanut butter that comes near the taste.